After holding a procedural session on 2 October, Egypt’s parliament will get down to business tomorrow. According to the schedule of debates, parliament will discuss Sunday new government-drafted amendments to the medical profession law (law 415/1954). On Monday, parliament is also scheduled to discuss amendments to the education law (139/1981) and a new government-drafted law that aims to set up a fund to be allocated to sponsoring innovative and intellectual persons. A report by parliament’s education committee said the law reflects a government strategy that focuses on upgrading the level of education in Egypt and sponsoring students who show strong intellectual aptitude and excellent performance in certain fields, particularly those related with innovative sciences such as engineering, electronics and mathematics. On the third day of debates – Tuesday – the two ministers of health and education will be summoned to answer parliament’s questions. Minister of Health Hala Zayed will face questions on the poor performance of public hospitals and rural health centres. More questions will be directed on the lack of ambulance services and the proliferation of the phenomenon of stray dogs in major cities and how to contain its negative side effects on public health. Minister of Health Rania Al-Mashat will have to answer questions on the government’s strategy in the area of tourism promotion. 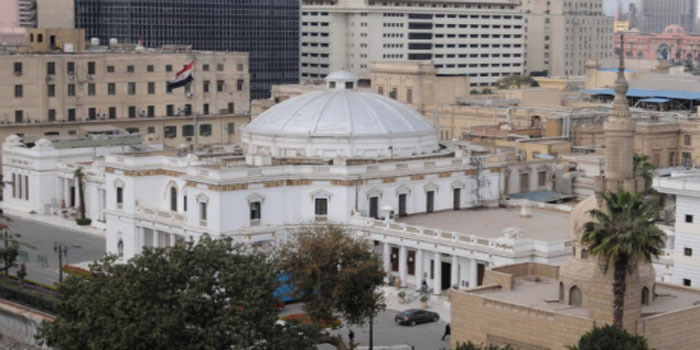 Parliament member Mohamed Fouad said the Ministry of Tourism does not have reliable figures on the number of tourists who visited Egypt in recent months, and how Egypt was able to boost tourism in recent months. Meanwhile, parliament committees will also meet to discuss a number of important issues. The Legislative and Constitutional Affairs Committee will meet Sunday to discuss an Egyptian-Russian deal on setting up and operating an industrial Russian city in Suez Canal’s Economic Zone. The deal was signed last May and was a major subject of debate between President Abdel-Fattah El-Sisi and his Russian counterpart Vladimir Putin last week. Putin said in a press conference with El-Sisi in Moscow on 17 October that Russia’s industrial city in Suez Canal’s Economic Zone is expected to attract $7 billion in investments and generate as many as 35,000 jobs. Also on Sunday, parliament’s Industry Committee, led by businessman Farag Amer, will also discuss new amendments of the law regulating the performance of the General Federation of Industries, Chambers of Commerce and other industrial provincial councils. Amer told reporters Saturday that seven cabinet ministers will be invited to review the existing industrial projects and draft a new strategy on industrial development in Egypt.